First, I cannot thank @cgcardona and everyone at the BCF #BITBOX channel enough for their help with getting this together. 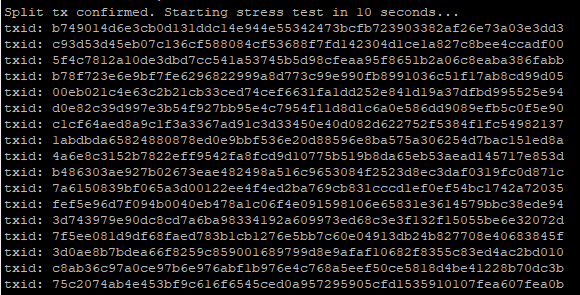 After starting, a new HD wallet will be generated and a stress testing address will be displayed. It will then wait for coins to arrive at that address. When a utxo is found, the number of addresses to split the utxo into will be displayed. Then the split transaction will be broadcast. One confirmation of this transaction is required to avoid exceeding the mempool chain limit. Once the split tx is confirmed, stress test transactions will immediately begin broadcasting. Finally, the number of successful transactions will be displayed. Good luck to everyone competing for the bounty!